You’ve come to Best Egg’s review page, to see if we are everything we’re cracked up to be. You’ll be happy to know after reading our Best Egg reviews that our customers have been able to get the money they need, when they need it. Trustpilot is one of the world’s largest online review communities. Anyone who has had a genuine buying or service experience can leave a review on Trustpilot, helping deliver an honest and representative view of companies’ customer service. In 2019, Best Company named Best Egg #1 Consumer’s Choice for Personal Loans based on the platform’s independent ranking and a customer review score of 4.9 out of 5 averaged from 4,400 reviews. My experience was excellent. The online loan process was easy to navigate and straight forward. I would recommend Best Egg to anyone wanting a quick and easy loan process. Best Egg enabled us me to pay of ALL of my credit card debt and 80% of my Wife’s credit card debt as well! My loan amount and interest rate were better than expected and actually got better during the loan process! We now have paid credit cards and a clear path to full payment making payments that are less than what we were paying just making minimum payments! So good to be off the minimum payment hamster wheel! Outstanding customer service throughout the process and we even got fully funded on a Saturday! Awesome! Fast simple and user friendly. The fastest I’ve ever been approved. Would definitely recommend! Best Company, a third-party review platform, is committed to arming consumers with the information they need to find companies they can trust. They believe that when it comes to making decisions about products and services, simple is better. That’s why they’ve taken the time to provide clear and easy-to-read rankings, facts, and breakdowns of each company. Best Company doesn’t allow companies to buy their rankings, and all user reviews are put through an extensive moderation process to ensure that they are from real customers. With free credit scores, reports and insights, Credit Karma helps consumers take control of their finances. Credit Karma believes that knowledge is power, which is why they host thousands of member-written reviews of financial products and providers. It will help you rebuild your credit and your life! I tried a few different lenders, and even though my credit score is good, my DTI was a little high. So most turned me away. But Best Egg approved me! And thank god they did, as this money was needed so badly right now! Process was effortless from start to finish! I can’t thank them enough!! LendingTree is an online loan marketplace that offers consumers easy comparison shopping tools to help them make the right financial choice for their needs. Best Egg was named #1 in Customer Satisfaction for Q3 2017. Very fast and what I needed to get back on my feet quickly. Best loan to get while going through a hard time in life. Was able to get this loan and back on my feet in no time. They are very reliable, and extremely responsive with any problems that may occur. Will recommend to any one who’s looking to start over. 5k in 5 minutes for a quick home project. Very easy. LendingTree is a leading online loan marketplace with one of the largest networks of lenders in the nation and provides consumers a way to connect with multiple lenders for a number of financial borrowing needs. LendingTree is committed to empowering customers to make the best financial decisions by providing a variety of informational resources and tools, such as lender ratings and reviews. BBB ratings are based on information the BBB is able to obtain about the business, including transparent business practices, complaint resolution, and time in business. BBB Accreditation signifies trust and integrity, and an unwavering commitment to ethics. Best customer service! My loan approval in minutes. Definitely would recommend to family and friends. This company is amazing! They are prompt, courteous, easily accessible, and they are helping me get out of debt! This is my 2nd loan with Best Egg. I’ve always gotten a reasonable interest rate. The process is smooth, and simple. The Better Business Bureau promotes an ethical marketplace where buyers and sellers can trust each other. The BBB reports on business’ performance in the marketplace to help consumers and businesses make intelligent buying decisions. Accredited companies are able to respond to reviews, comments, and complaints left on the website. My son was suddenly diagnosed with a chronic illness and the vehicle that I needed to carry him back and forth to his various medical appointments was in need of repairs. Best Egg provided a quick and easy process for me to get the money I needed to take care of my child. 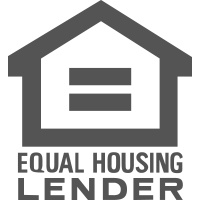 So many other lenders take advantage of vulnerable consumers in times of desperation and need. I feel that Best Egg cares about its customers. Legit offer, told truth about what the loan was needed for and after filling out very few questions, showing a little documentations… loan approved. Hassle free and I was treated with respect. Made me feel important in my credit recovery. They saw I was trying to improve my credit rating and allowed me the chance to do just that. Was turned down by other companies and made to feel insignificant. ConsumerAffairs provides expert resources and verified reviews to help consumers make smarter buying decisions. ConsumerAffairs is a trustworthy and neutral place where brands and their customers can connect. *** As of October 2018. Based on results from an ongoing survey of recently funded customers.